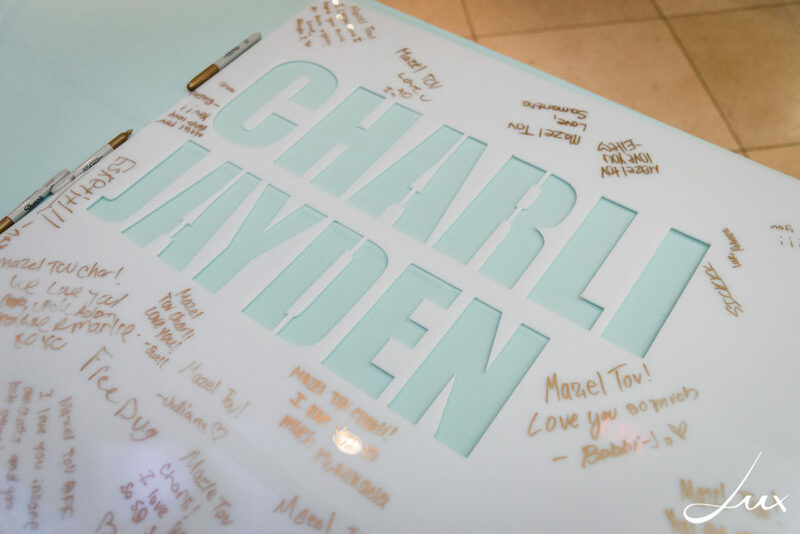 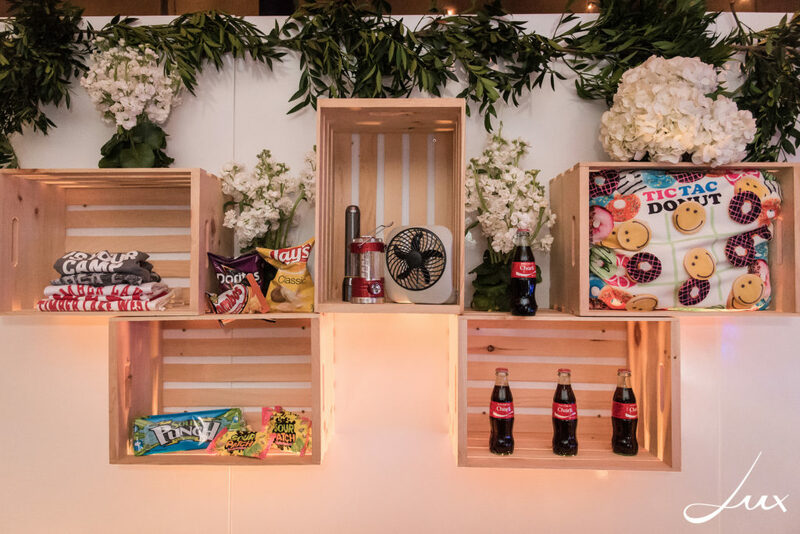 Our Guest of Honor knew exactly what she wanted for her Bat Mitzvah, and we went with it from beginning to end with every last detail covered. 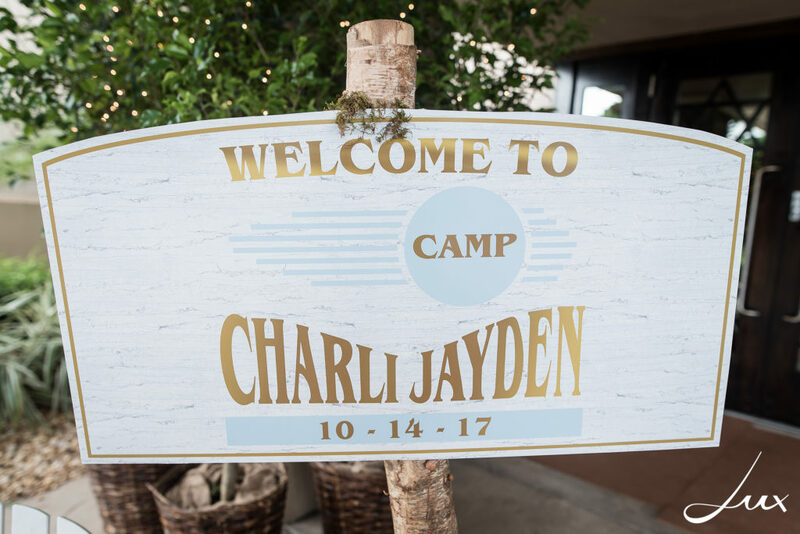 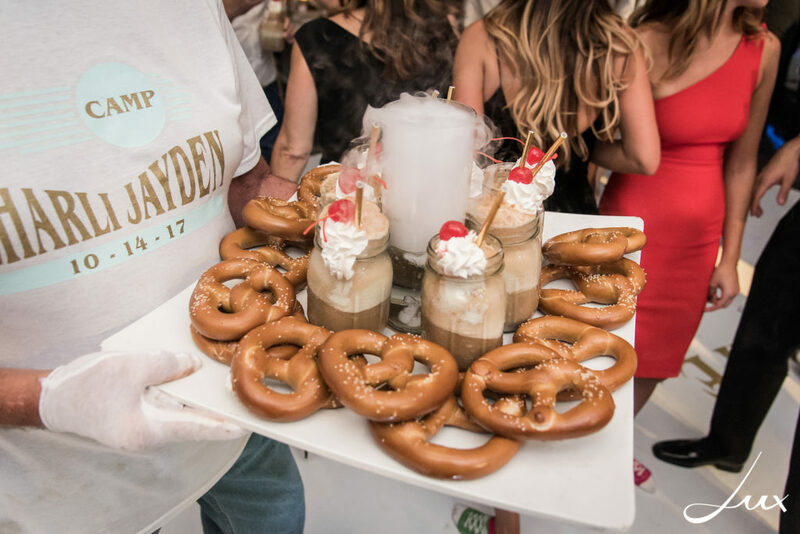 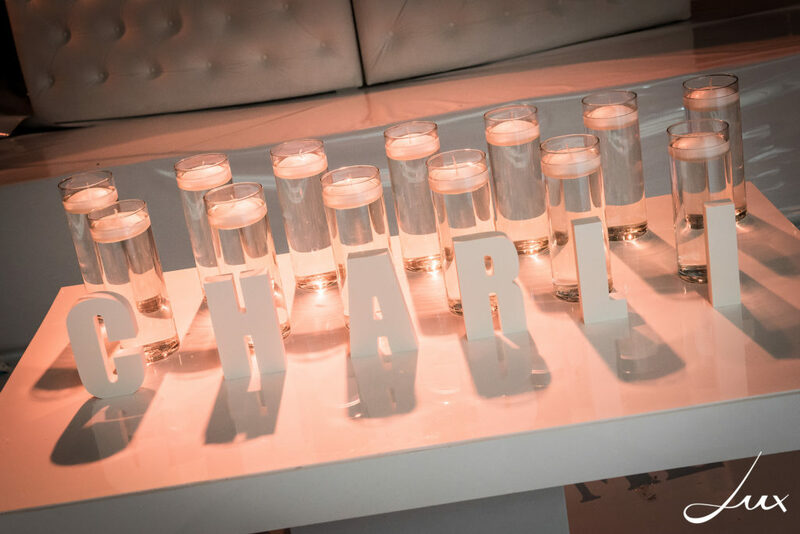 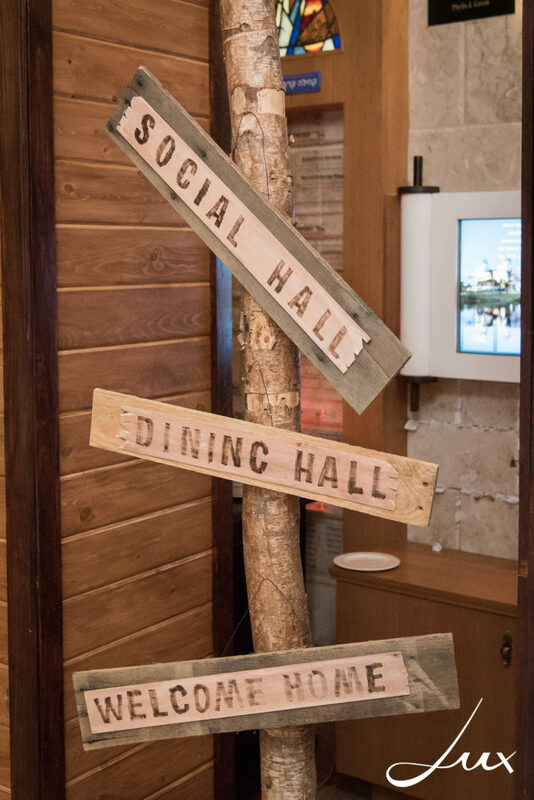 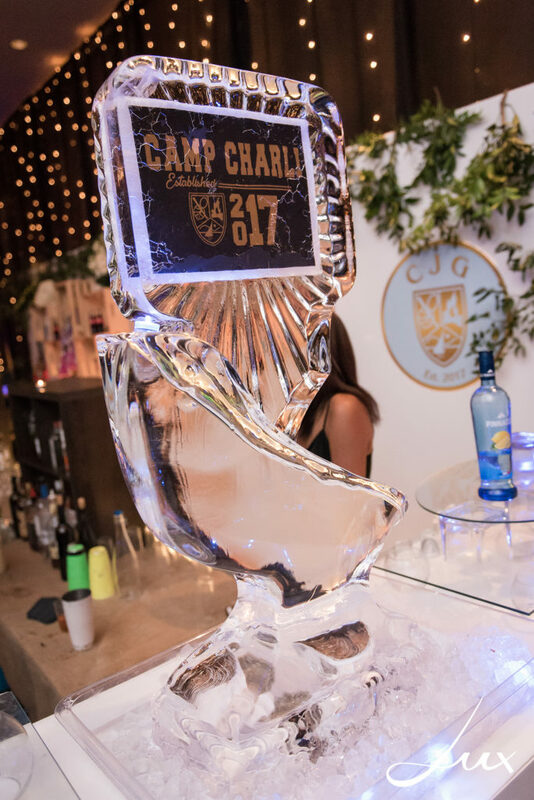 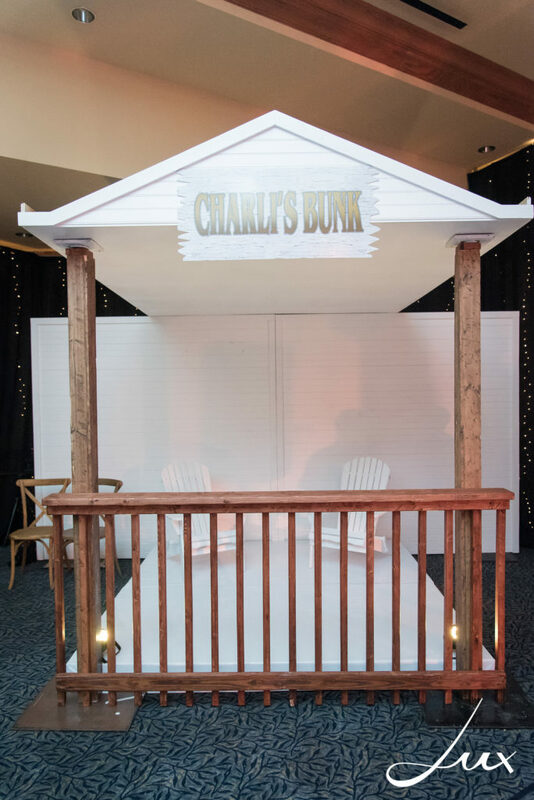 It was obvious that the entire inspiration for this party came from our special teen’s second home… her sleep away camp in upstate New York, and just like that “Camp Charli Jayden” was born. 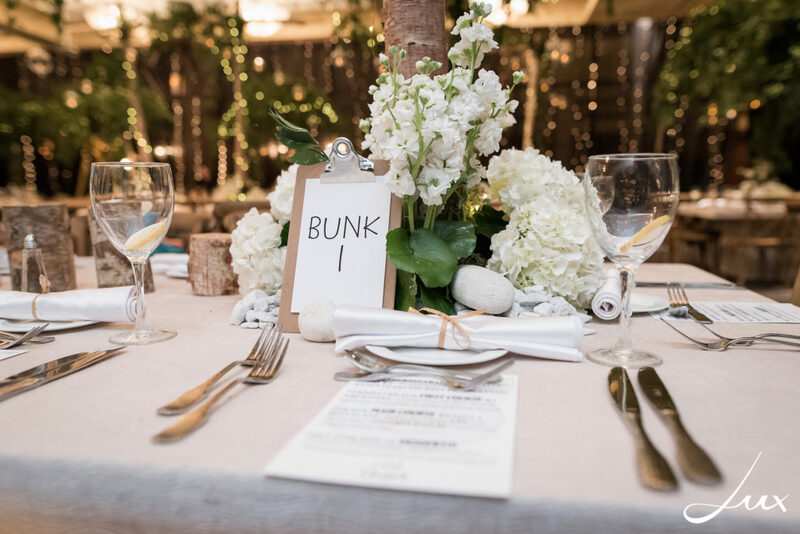 Guests were greeted with their bunk assignments and they settled nicely into their evening accommodations. 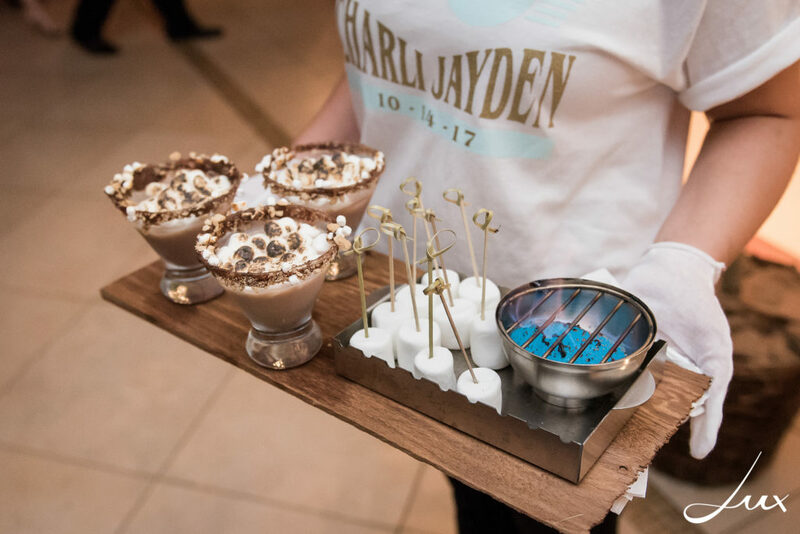 S’mores martinis welcomed them at the oversized bar decorated with Charli’s authentic camp gear including her laundry bag, blanket, t-shirts, and stuffed emoji pillow. 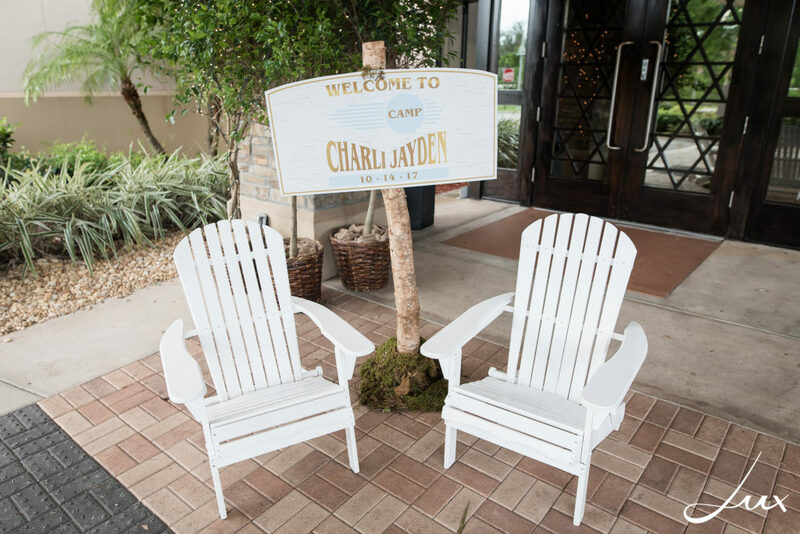 From a handmade cabin structure complete with Adirondack chairs, to the gaga pit, and everything in between, Lane from Dalsimer Atlas Floral & Event Decorators took on the challenge that would win color war. 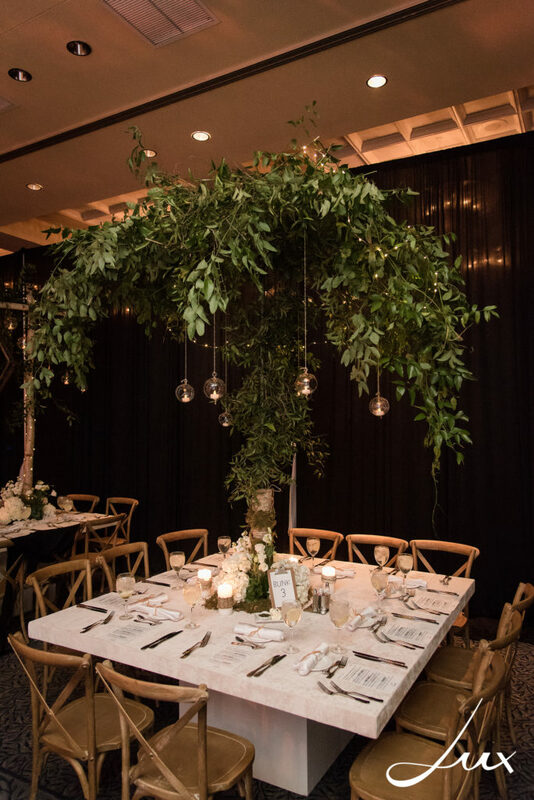 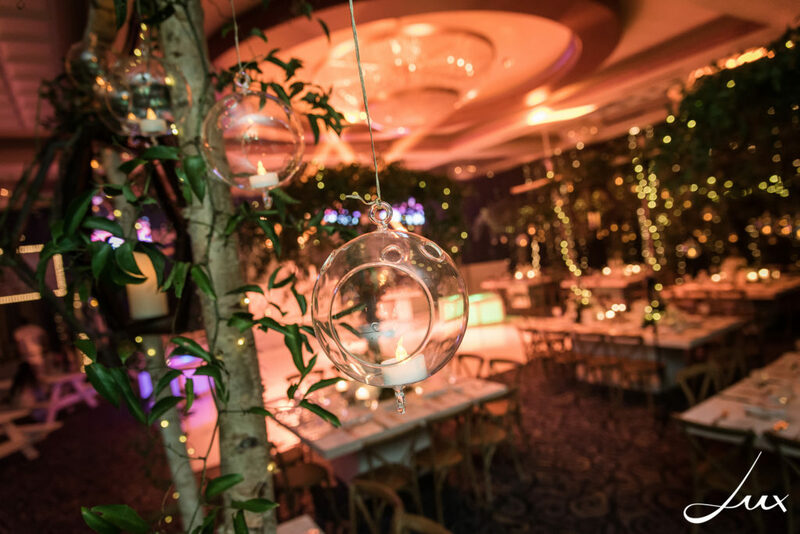 Hanging glass with candles on branches adorned authentic trees with plush smilax vines, hydrangeas, and other white florals which sat upon custom tables created by Tali Table Designs. 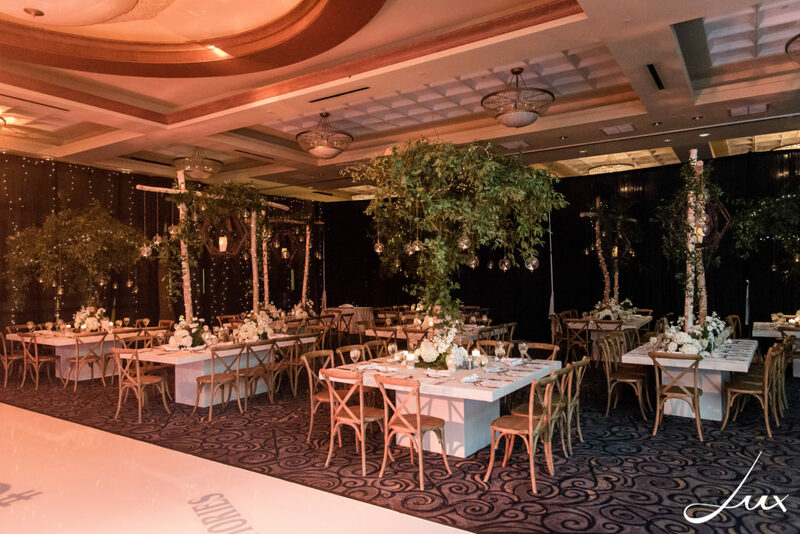 The ballroom at Kol Tikvah was draped all in black with tiny twinkle lights reflecting a night at camp. 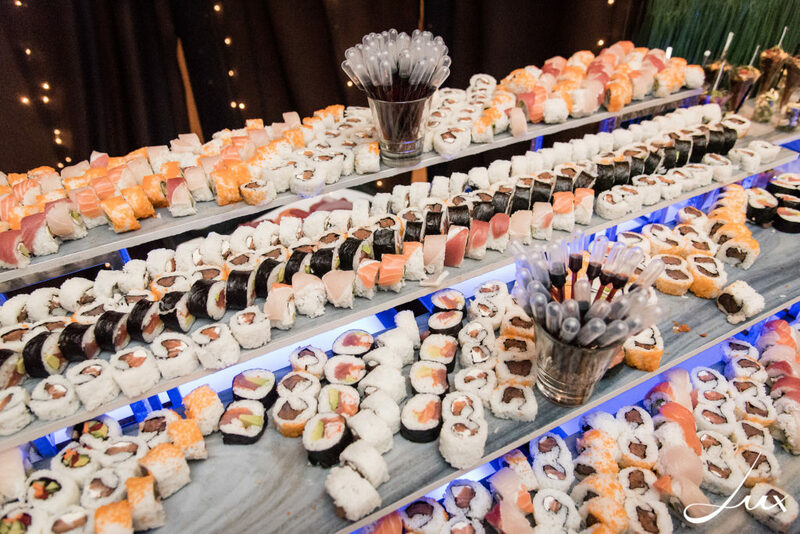 VIP Caterers served up a menu of amazing cuisine, including an endless buffet of sushi that every dining hall would envy. 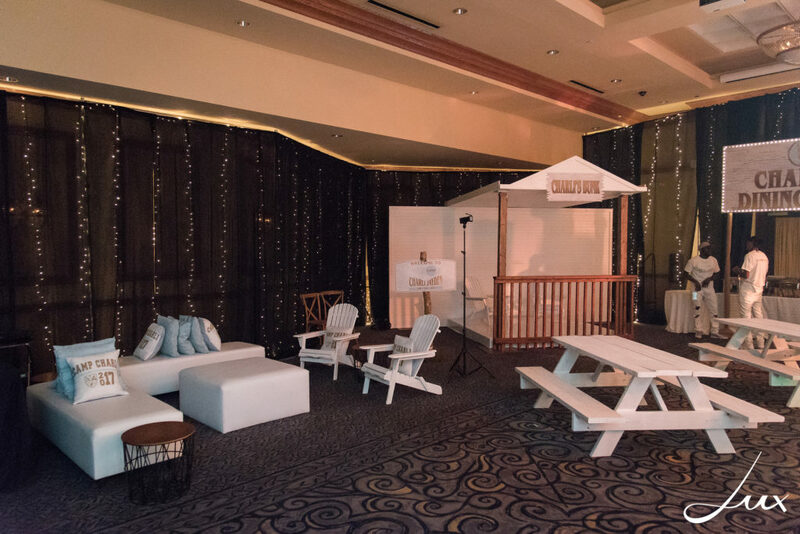 Cocktail hour contained stations replicating camp favorites such as Breakout BBQ, Pizza Party, Sing Chinese and Prime 12776. 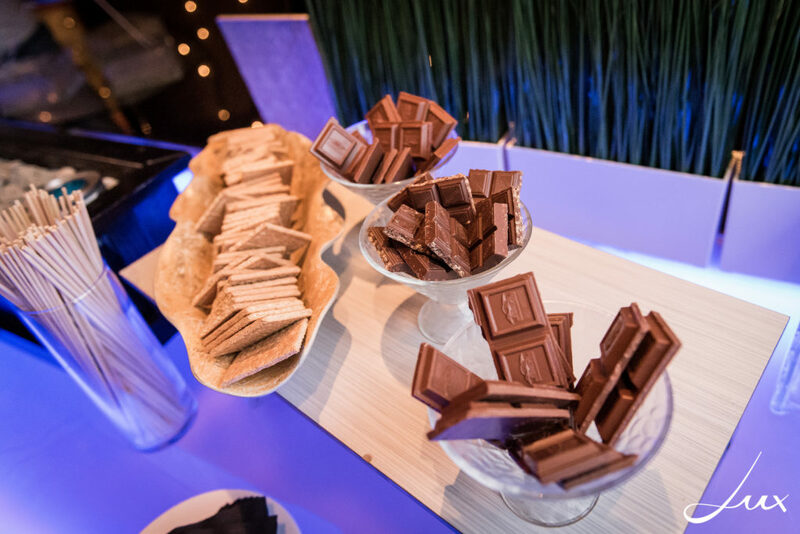 Although signature appetizers were passed, Easy Cheese on crackers delighted guests big and small. 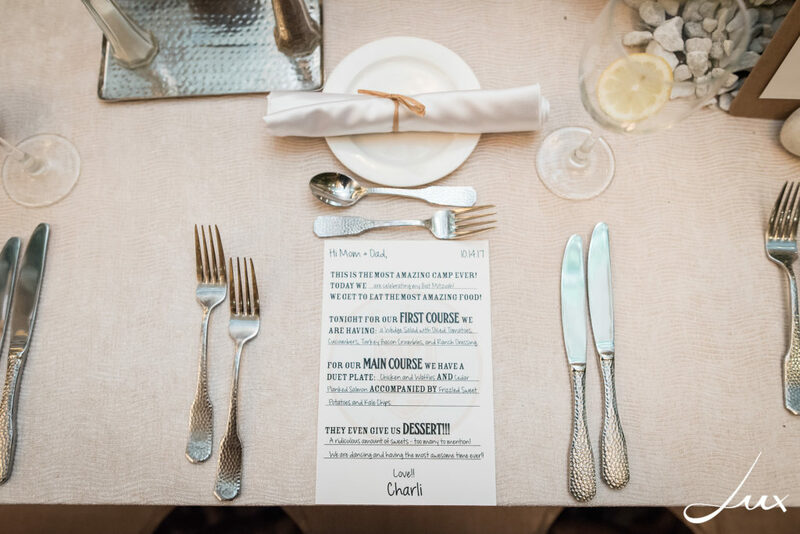 A 5-star dinner was then served dining hall style on custom acrylic trays. 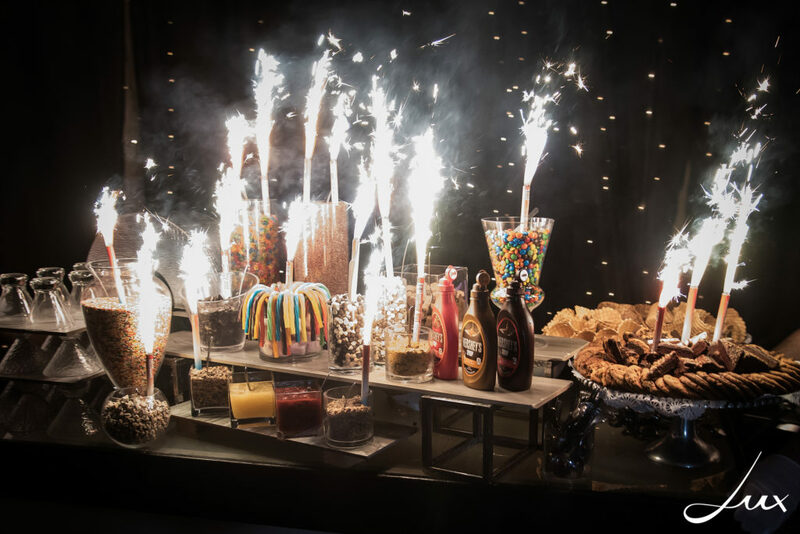 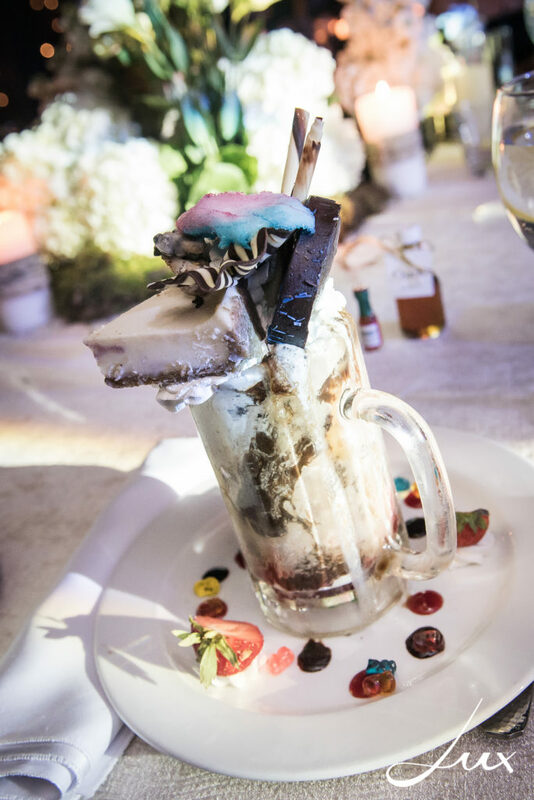 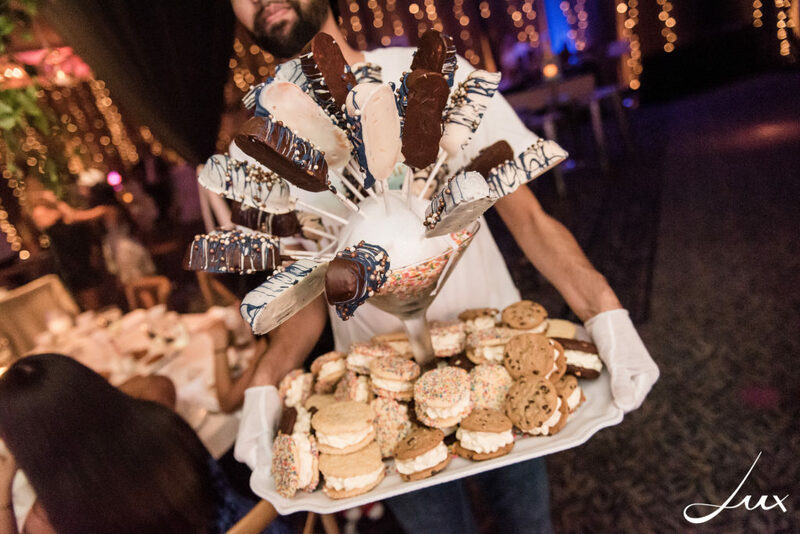 But Milk Call will never be the same, the over-the-top and outrageous desserts from a s’mores buffet to huge milkshakes garnished with plenty of chocolate and gummy bears had guests writing home to tell all about it. 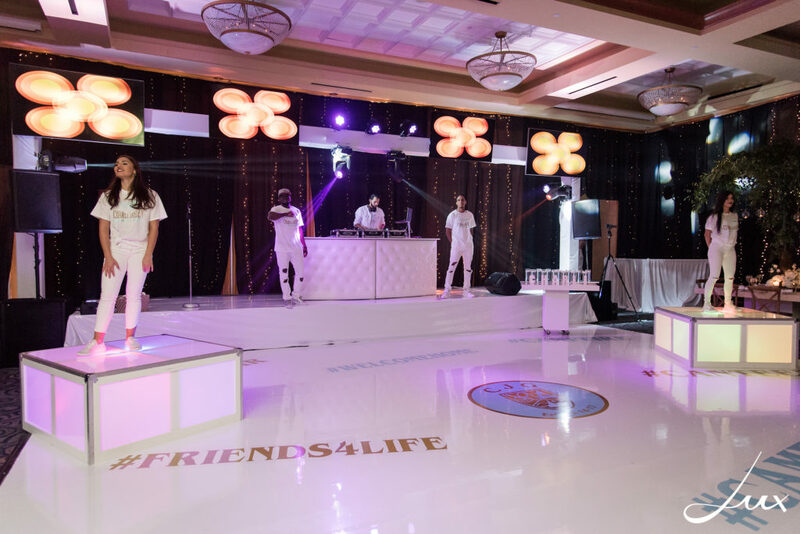 Rock With U Entertainment played amazing tunes the entire evening. 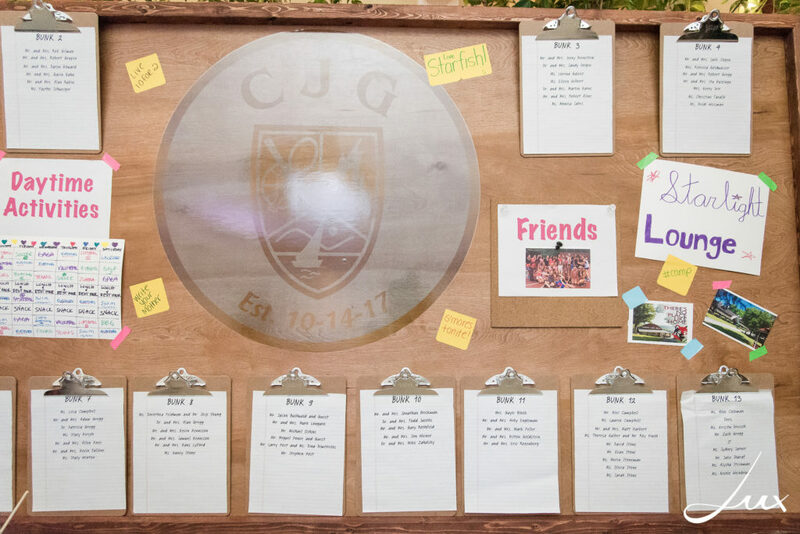 Ross was an awesome “Camp Leader”, and his team of “Counselors” had everyone on the dance floor for the social event of the season. 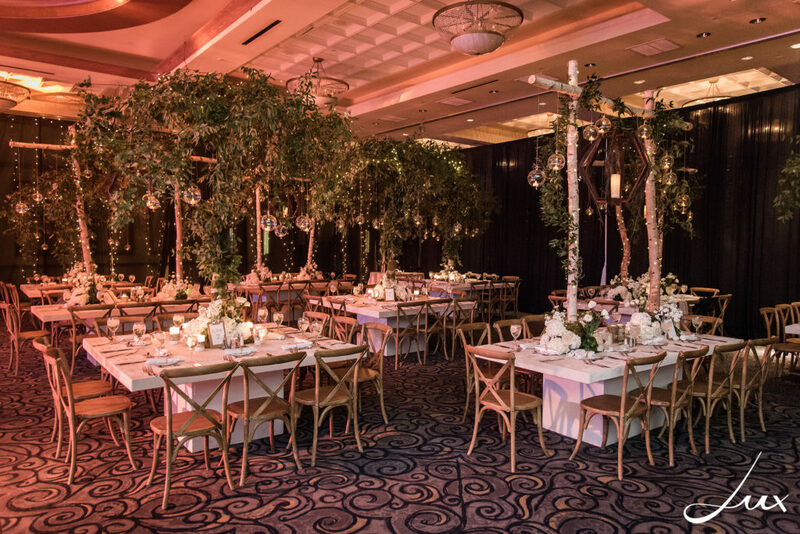 Lux Images and Senderey Video Productions captured all the magical moments and enough footage to “refresh, refresh, refresh” any computer screen. 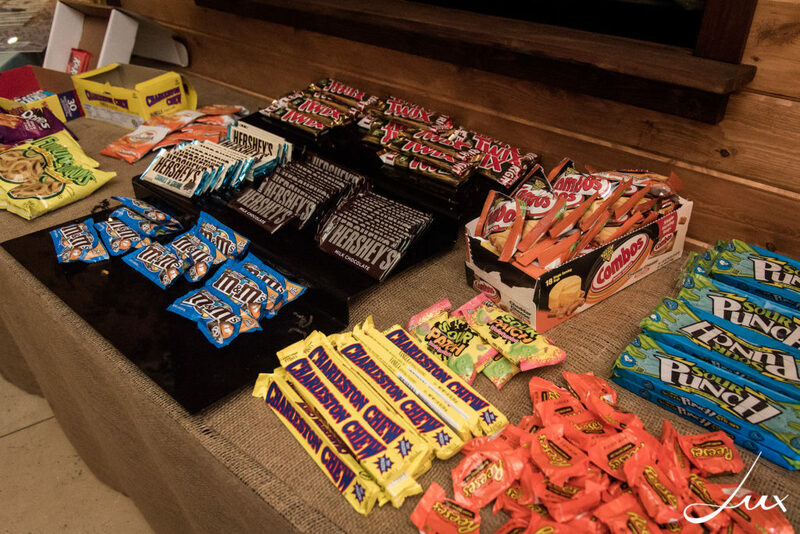 Upon departure, all our campers were able to stock up at the Canteen and pick up their care packages. 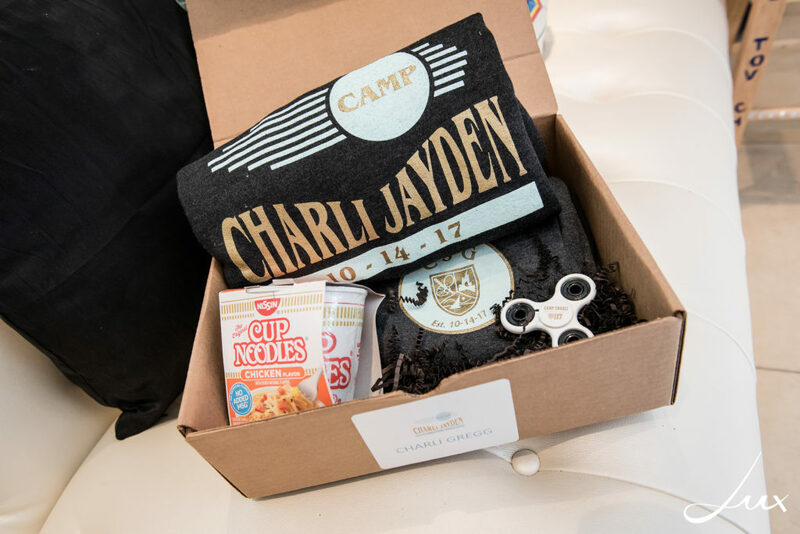 A huge variety of camp candy favorites were offered, and campers received logo sweats, Cup Noodles, and a custom logo fidget spinner. 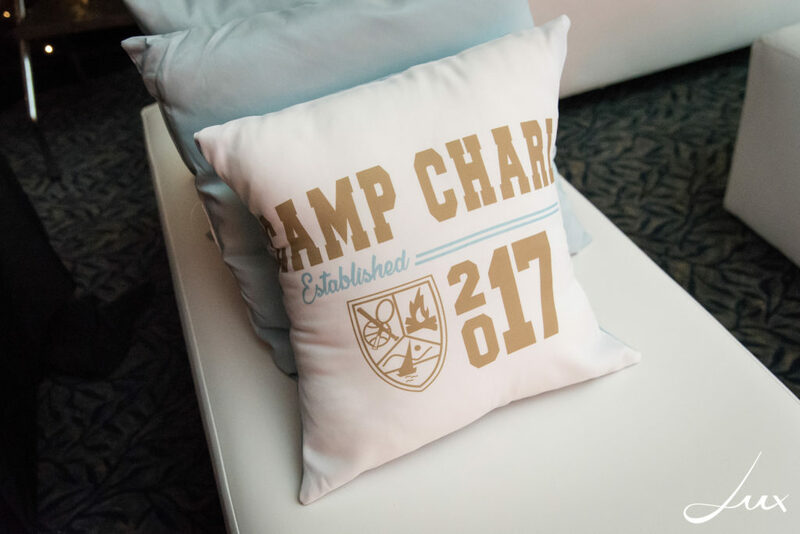 Camp friends make the best friends and happy campers always make a STYLED EVENT. 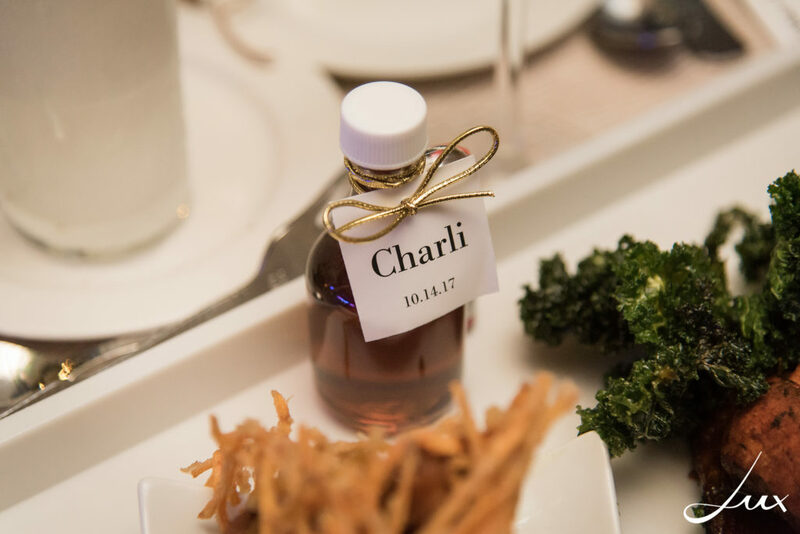 Mazel Tov to Charli and her family!